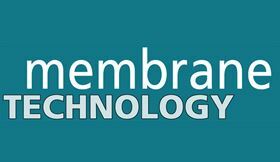 This article was first published in the March 2018 issue of Membrane Technology newsletter. Singaporean-Australian decentralised water and wastewater treatment company De.mem Ltd ended 2017 in a strong position by winning additional contracts in Australia and is anticipating another successful year in 2018. The contracts, worth approximately $A800 000, were awarded to the company’s wholly owned subsidiary Akwa-Worx Pty Ltd, based in Caboolture, Queensland. De.mem officially expanded into Australia after acquiring Akwa-Worx in September 2017. ‘We have been very pleased to see the momentum in our projects business,’ commented Andreas Kroell, CEO, De.mem. Amongst the customers for the most recent contracts awarded to De.mem is Ausco Modular Pty Ltd, one of Australia’s largest construction companies using modular technology. The scope of work for this project includes the delivery of equipment, primarily storage tanks that are containerised and mobile systems for potable water or sewage. Kroell believes that this momentum will carry over into 2018. De.mem says that it is hoping that the contracts it has recently won in Australia’s mining and construction industries will help it to pursue similar opportunities that it is exploring in China. With an estimated market size of A$20 billion, China is the world’s largest producer of wastewater, generating approximately 68 billion tonnes a year. In 2015, the Chinese government implemented the “Water Ten Plan” – a series of measures that focus on controlling pollution, promoting water treatment science and technology, enforcing laws and regulations, and improving overall water quality. ‘De.mem is currently exploring ways of commercialising its nano-filter membrane for use in China,’ said Kroell. Since June 2016 De.mem has held an exclusive worldwide licence from Nanyang Technological University (NTU) for the use of its breakthrough nano-filter membrane technology. The low-pressure hollow-fibre nanofiltration membrane can reduce energy consumption by up to 80%, compared with conventional water treatment processes, making it more efficient and cost-effective, says the firm. It also set up a new factory specifically for the production of the nano-filter membrane and membrane modules in July 2017. Both NTU and the factory are located in Singapore. In October, the company started the first pilot-scale water treatment plants, in which the new membrane is used, in Singapore and Vietnam. De.mem secures A$340 000 worth of new purchase orders from customers in Singapore and Australia. De.mem Ltd ends 2017 by winning additional contracts in Australia and is anticipating another successful year in 2018.